Master Bedroom Makeover | For the Joy of Life. I am beyond excited to share our bedroom makeover reveal with all of you tonight. We worked on this room literally all summer and it turned out exactly how I had envisioned it. If you follow me on instagram, you probably saw I said we put our blood, sweat, and tears into this room and I'm not even exaggerating! All of it, was so worth it though because we absolutely love the results! If you follow me on instagram or snapchat you probably also saw that we moved... right after finishing the room... and that's unfortunately true too. I'd be lying if I said there weren't tears shed as I was packing it all up. However, life happens and this was what was best for our family. I also cannot say thank you enough to our amazing sponsors that helped bring this room together. We had a blast working with Devine Color, Ikea, Tuft and Needle, Cariloha, and Hayneedle to bring this vision to life! So without further adieu, here's the before and after!! 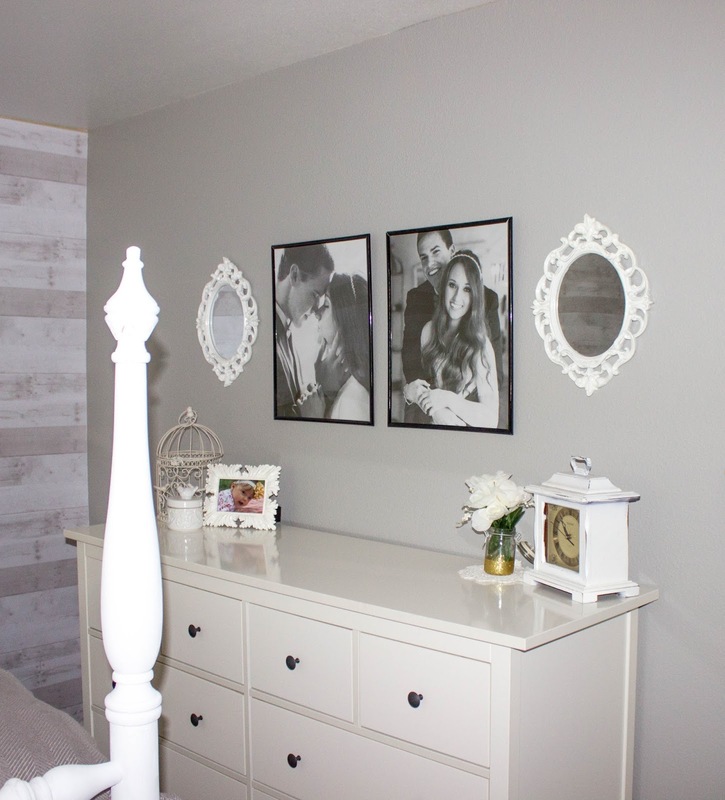 I knew I wanted grey and white to be the main colors and who doesn't love a good distressed shiplap accent wall, right? 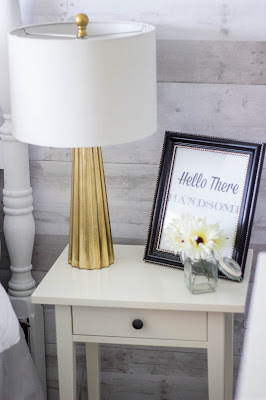 As time went on, I was able to find some gold accent pieces that fit perfectly in the room and I absolutely love the way it all came together. 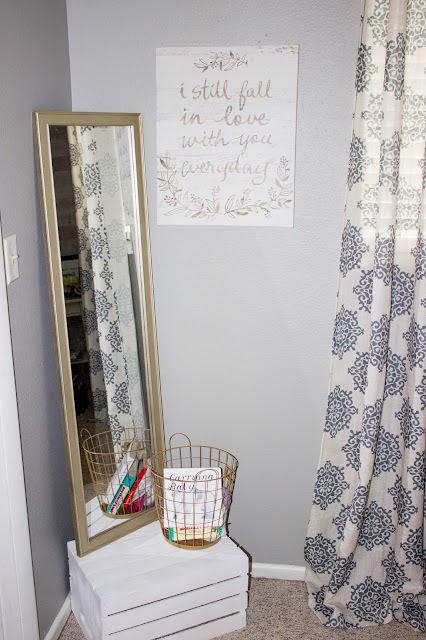 I worked with Devine Color by Valspar which you can find at your local Target to get the perfect color on the walls. We used Mirage as our paint color and only used one can to do two coats on three walls! We were so impressed! 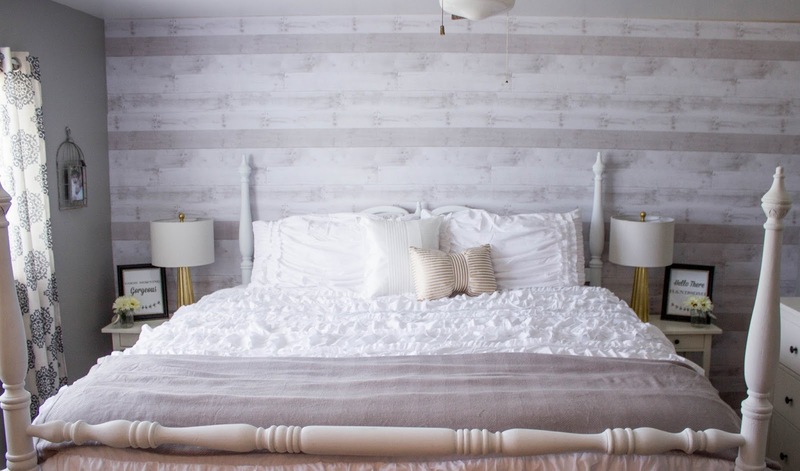 Devine Color also supplied the amazing Distressed wood wallpaper! You guys, this is easily my favorite part of the room. Every time I looked at this wall, I instantly got happy. 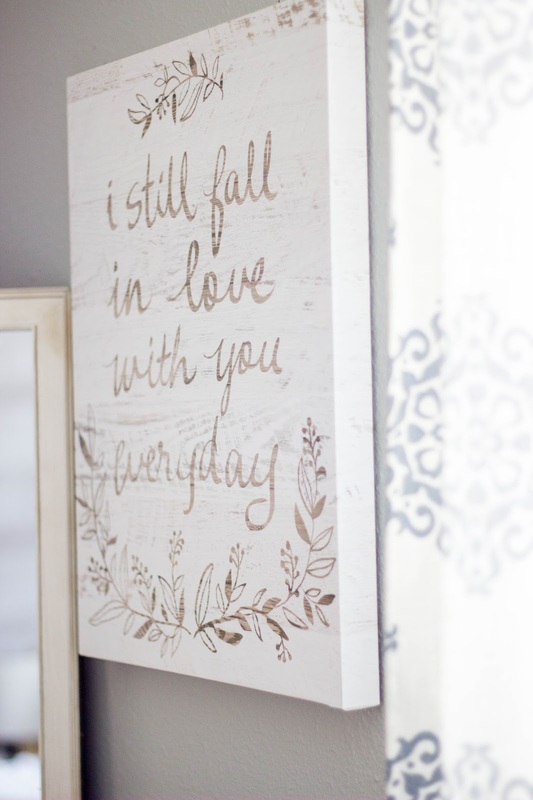 It's just so pretty and the absolute perfect accent wall. 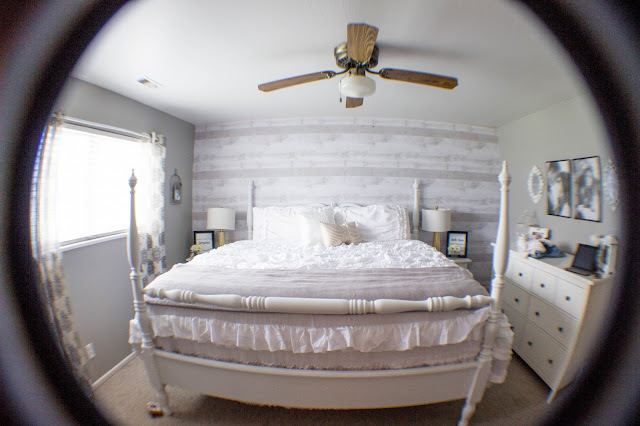 Not to mention, it's adhesive wallpaper so it was incredibly easy to accomplish! 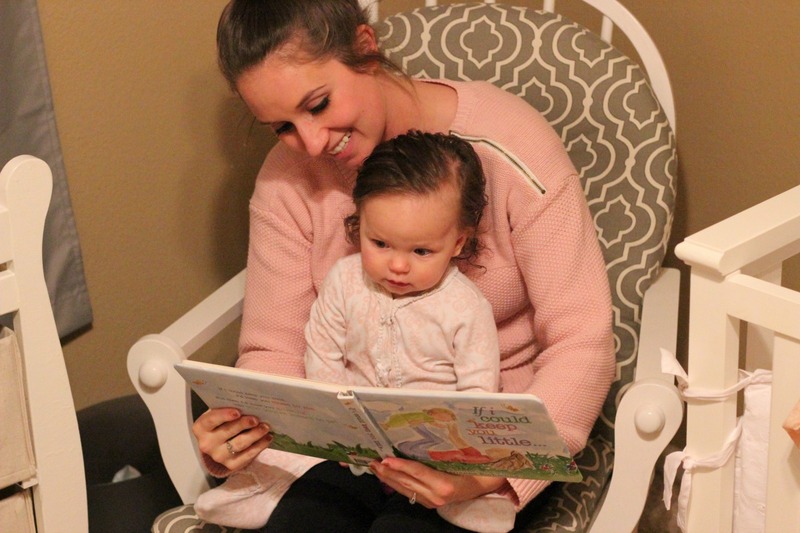 The first strip definitely took some time for Hunter and I to figure out, but once we understood what we were doing, I was so impressed with how simple it was to apply. I definitely give two thumbs up to Devine Color! For the majority of our bedroom furniture, we worked with Ikea. 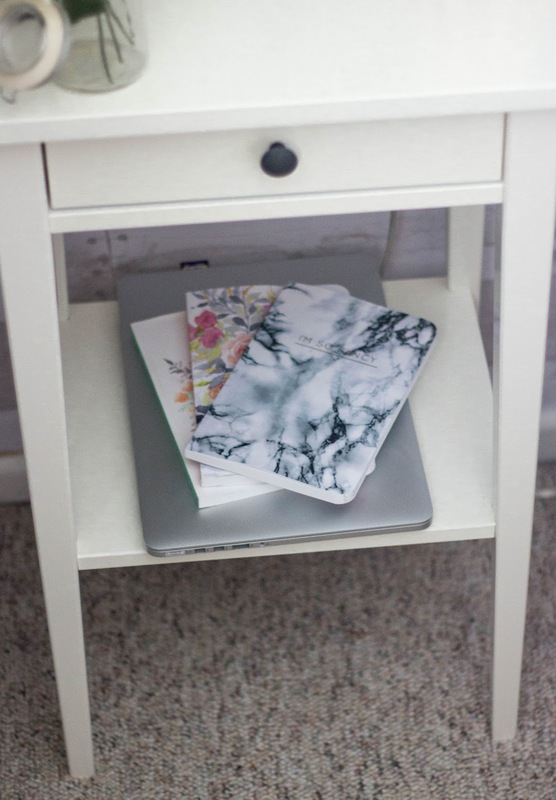 I actually grew up with this dresser in a different color and loved how much storage it had so it was incredibly easy to pick out a dresser. 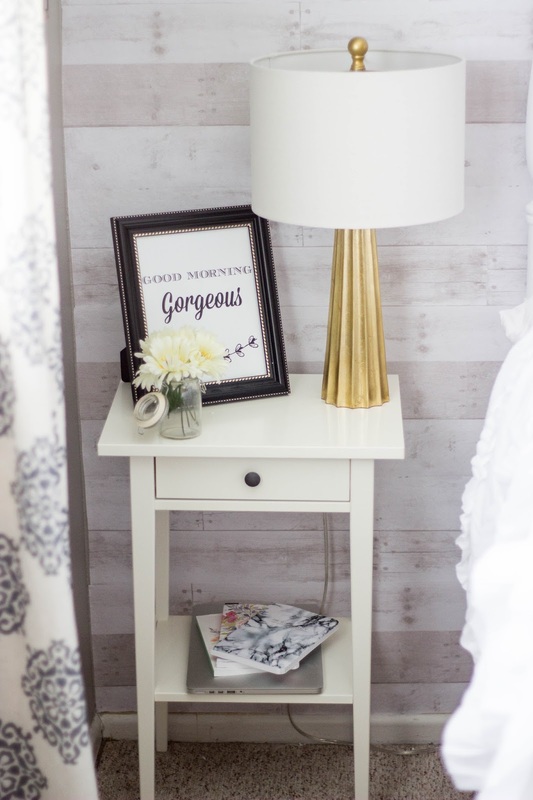 I chose the matching nightstands to go with it and I just love the sleek look of them. 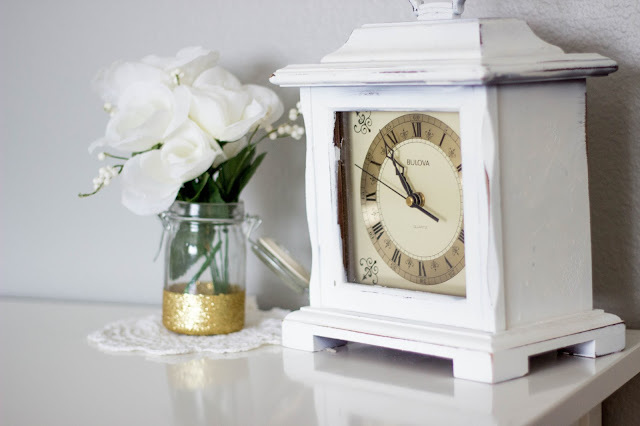 White is my absolute favorite color when it comes to decor so it was also super easy for me to pick the color. Ikea furniture does take a little while to assemble, but you seriously cannot beat the price and the quality is wonderful! Hunter and I actually enjoyed our date indoors putting together our dresser and nightstands. As with any dresser, make sure you secure it to the wall so an accident doesn't happen with your little ones. We managed to score our bed off of Craigslist and I used Waverly chalk paint to paint it in only two hours! Our mattress is a little piece of heaven. 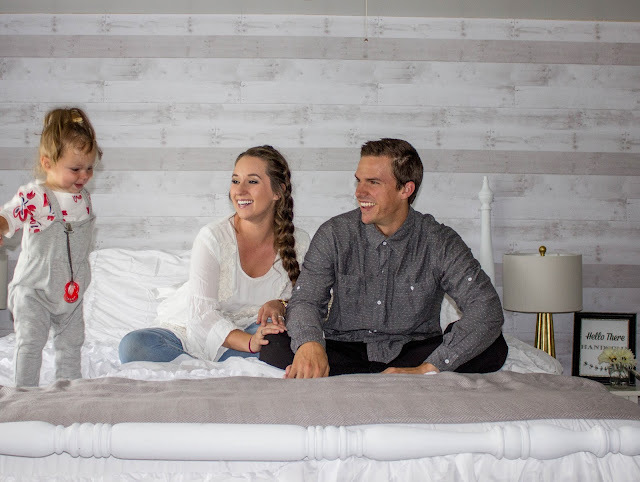 We worked with Tuft and Needle on the mattress and I could not be more happy with it! 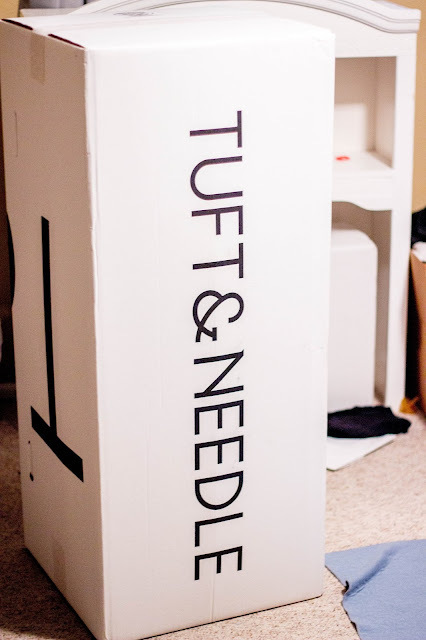 First off, Tuft and Needle is an amazing company with great values and even better customer service. They even thanked us with cute shirts! Now that's a company that values their customers. 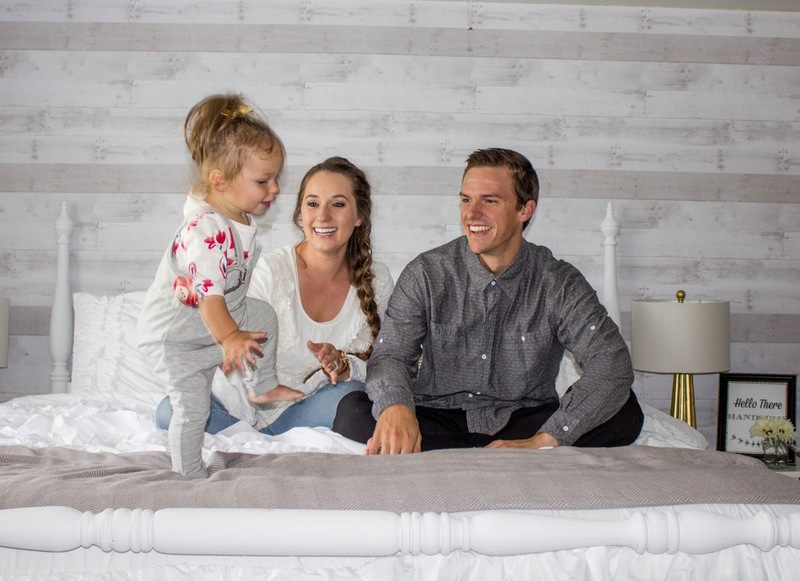 Tuft and Needle was started after the owner went shopping for a mattress and was pressured into buying an overpriced mattress that was far less than comfortable. 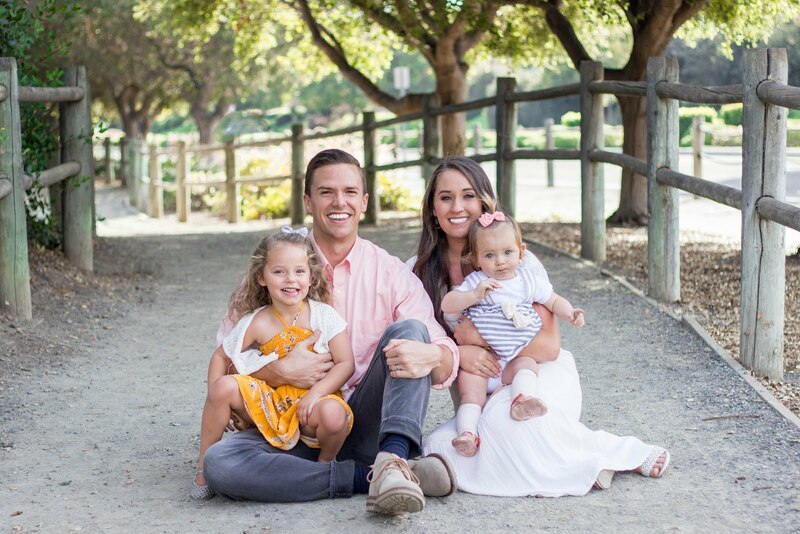 After this experience, they vowed to create an exceptional mattress at a fair price. I can honestly say that they have accomplished just that! Our king size mattress has been amazing and we are blown away at how they shipped it! 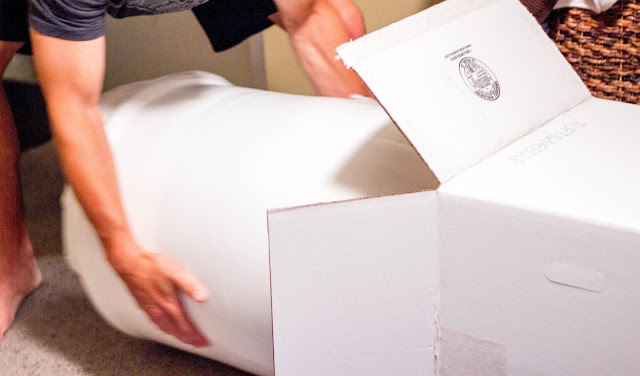 It comes right to your doorstep in a box and it almost "inflates" when you take it out. It was so fun! 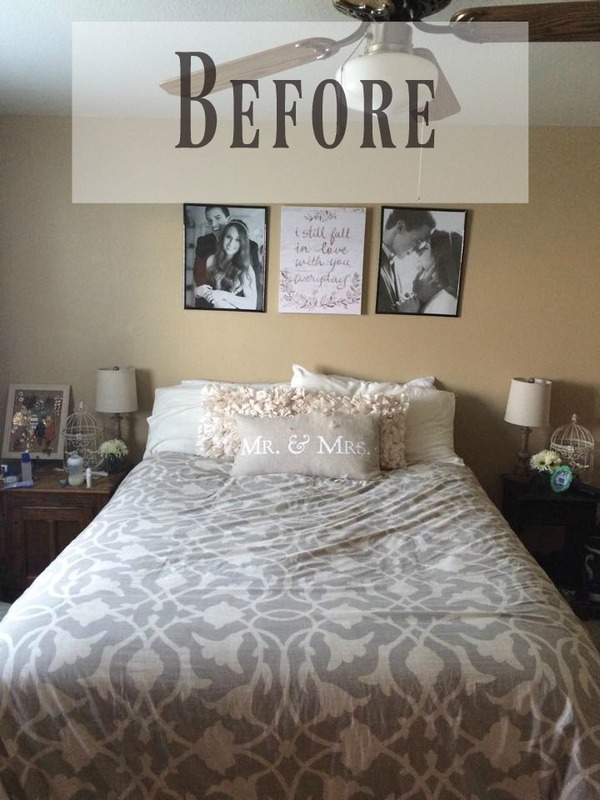 Our bedding was supplied by two amazing companies that I would hands down recommend to anybody! 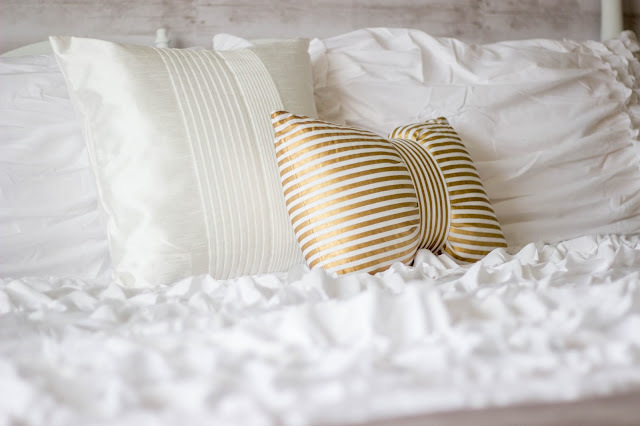 Our heavenly sheets, pillow cases, and the grey throw are all from Cariloha. The white bamboo bed sheets are the softest sheets I have ever felt. They are thermal regulating and are soft and smooth because of the box stitched seams. I honestly don't know how else to describe these sheets other than sleeping on a cloud. They fit the bed perfectly, came with a fitted sheet, bed sheet, and two pillow cases. I loved the customer service they provided and they made sure to fit every one of my needs. The bamboo throw blanket is my absolute favorite blanket to take a nap with. It is also thermal regulating, has a cute herringbone pattern, and is beyond soft. 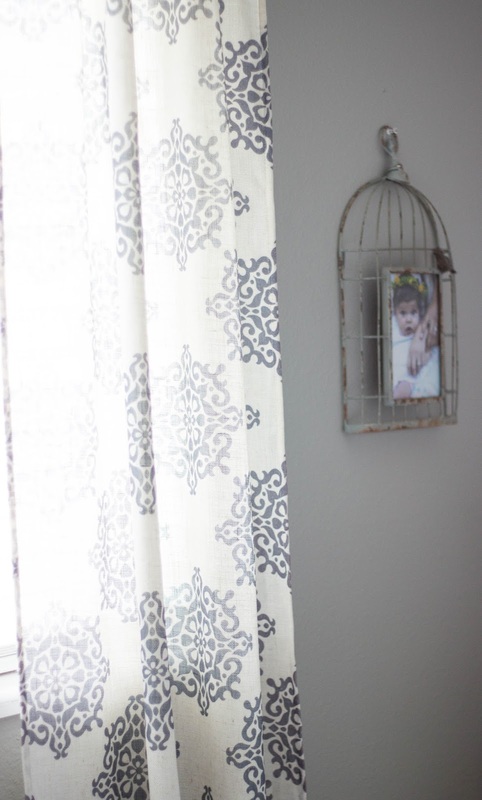 Our comforter and decorative shams are from Hayneedle. I was so in love with this comforter from the moment I saw it on their website. 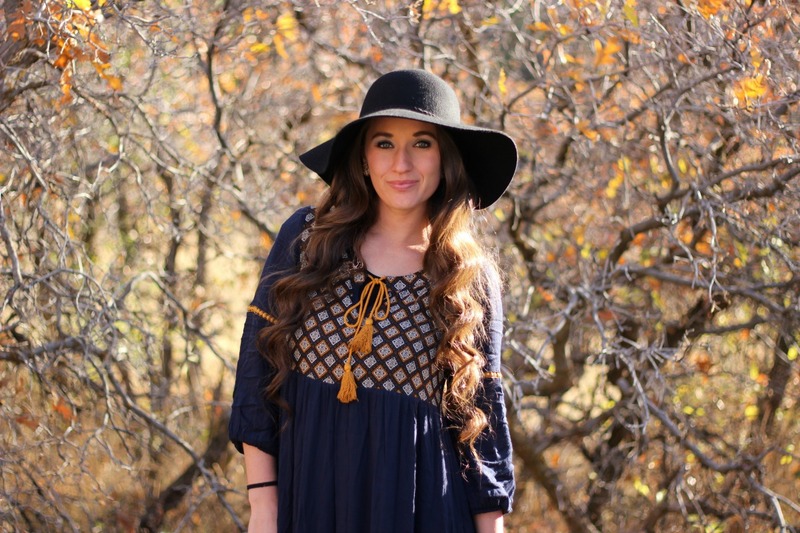 If you know me, you know I love ruffles! The ruffles on this comforter are so cute and the perfect statement for your bed. It is also very comfortable! I was very impressed with how comfy it is. I thought it was sort of feminine at first, but my husband actually loves it, win win! I also got this white pillow from Hayneedle and think that it's the cutest little accent pillow. 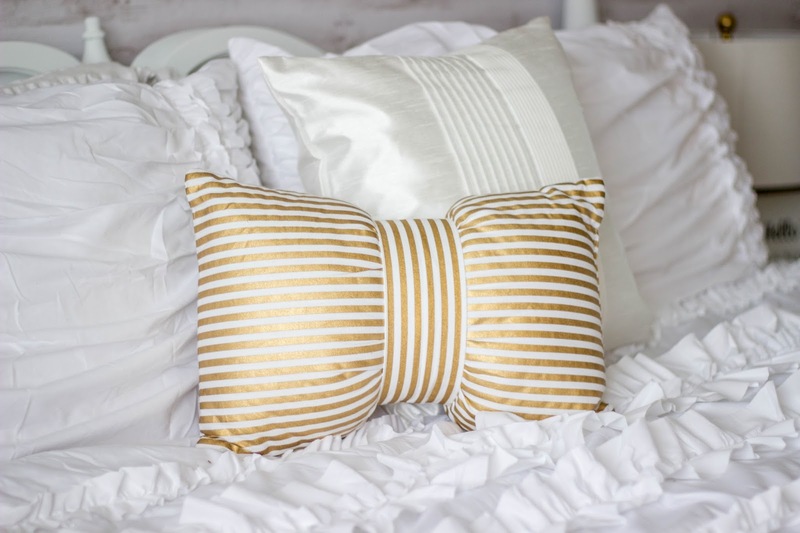 The super cute gold striped bow pillow is from Target and it just so happens to be on sale! As far as the small decorations go, I got things from all over the place! The lamps were from Burlington and I got a great deal but these ones from Target are very similar. 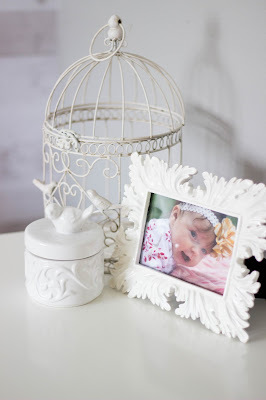 I made the prints for our night stands and put them in dollar store frames I already had. 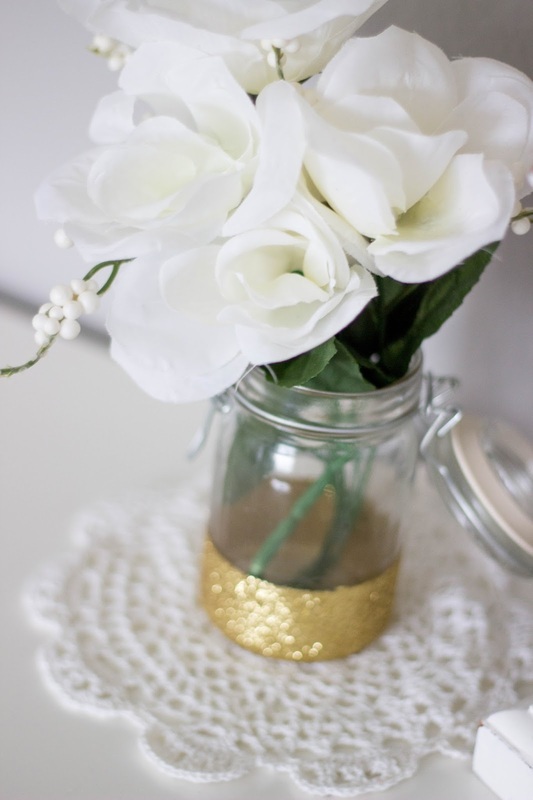 The glass jars are from Michaels with dollar store faux flowers. 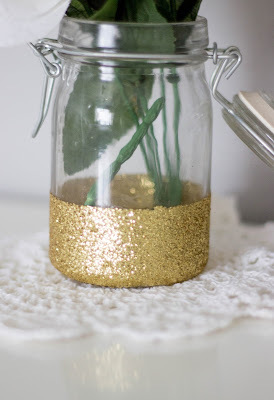 On my dresser I did a little DIY with the jars and used Mod Podge and Gold Glitter to add a little flare. 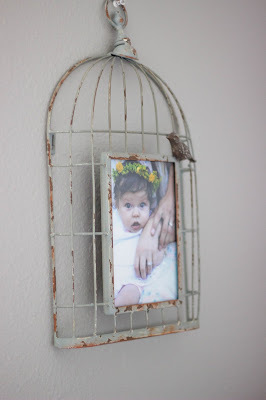 The bird candle holder I already had but I think I'll add these candle holders at some point because I love them! 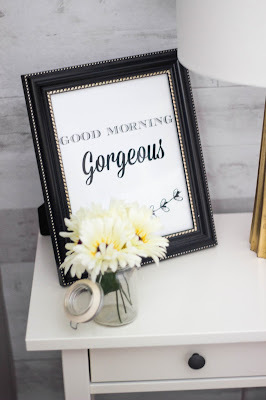 I'm such a sucker for a cute vintage white frame and found mine a few years back but I'm loving this one from Target. 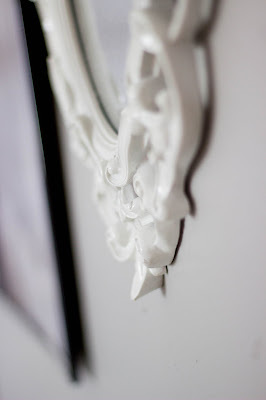 I got the white mirrors as a wedding gift but these ones look almost identical! 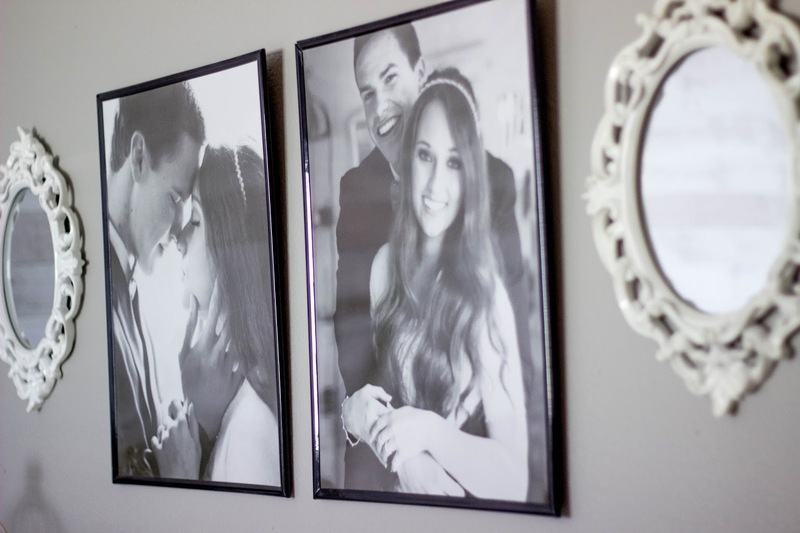 In the middle I hung two of my favorite wedding pictures in poster frames from Target. 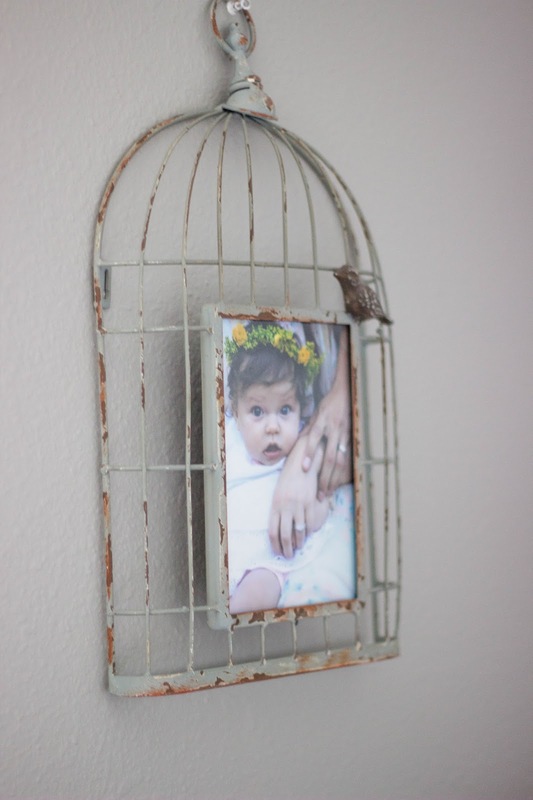 I bought my bird cage picture frame from Hobby Lobby but it was on clearance and this gold one is seriously dreamy! 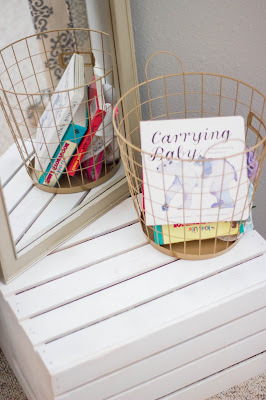 I used a milk crate to set my mirror on top of and loved the way it turned out. The canvas hanging next to the mirror was my mothers day gift a year ago, but if I could choose another one, I would get this one in a heartbeat! My mom also gave me her old curtains, but before she did that I was totally eyeing these ones! 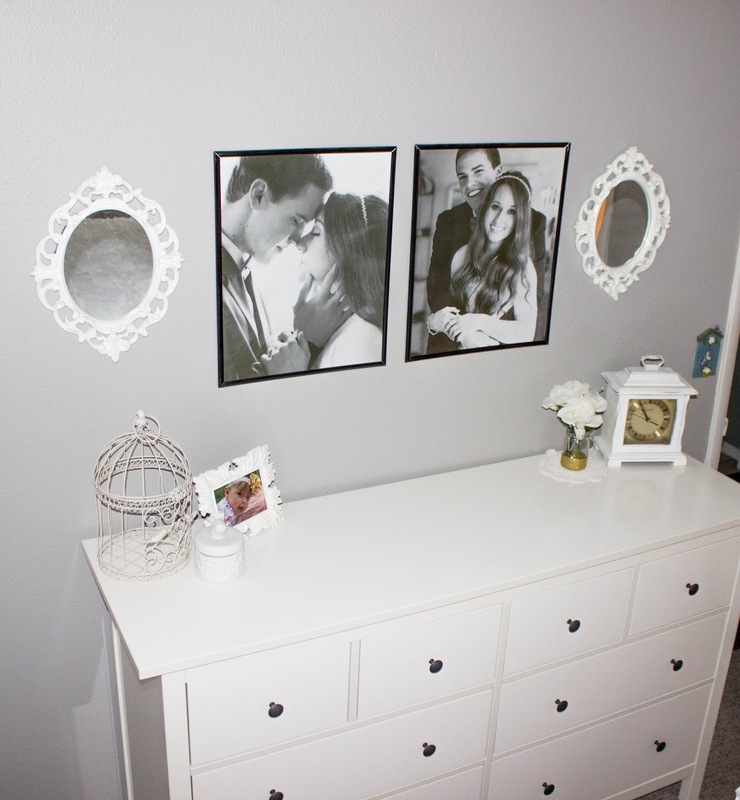 I really loved putting this room together, and like I said before, I was so sad to leave it! However, these pictures will always bring me nothing but good memories and I'm so glad we had the experience of being able to act like Chip and Joanna Gaines for a summer ;) I now have so many ideas for our future home, the countdown to Hunter's graduation is so on! I hope you guys enjoyed this post and really hope that it gave you some fun ideas for a little makeover yourself. If we could do it, you totally can! If you have any more questions about how we did things, feel free to ask me! 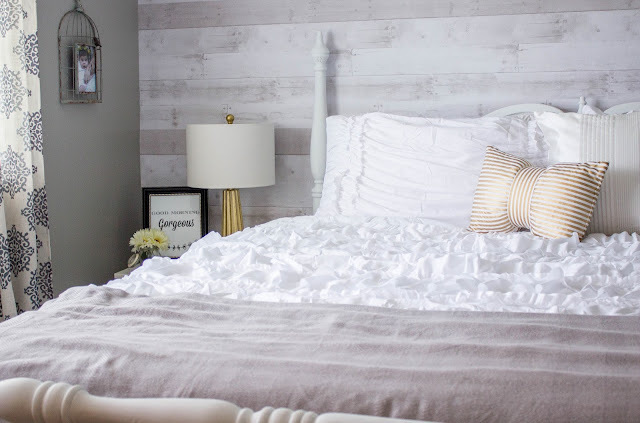 Feel free to shop some of my favorite farmhouse bedroom styles below too! Now go have yourself a fun Labor Day Weekend! ALEIGH. Your room was gorgeous. 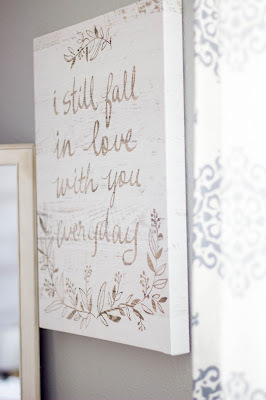 I have bookmarked this page for when I got to decorate my husband and I's master bedroom. You are so good at decorating!! It looks great! I have the same dresser from IKEA and love it, but I've been wanting to try Tuft & Needle for a new mattress, too. I LOVE it! It looks SO good! Great job, Aleigh! It turned out so great! I can't believe that's wallpaper. So pretty! Sorry you had to leave it. Same thing happened with us after we finished Parker's nursery. Devastating but it was fun to do all over again! 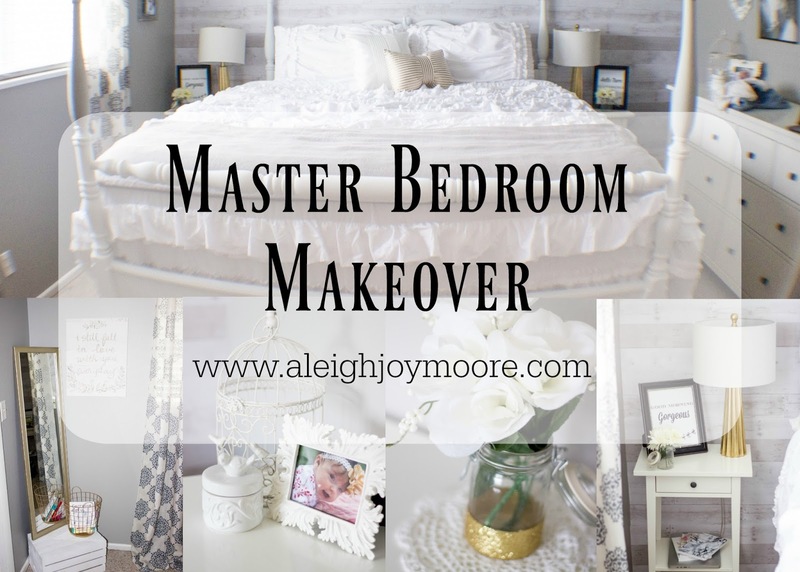 I love the stunning work that you did to makeover your bedroom. It will be helpful for me to makeover my own bedroom following your idea.